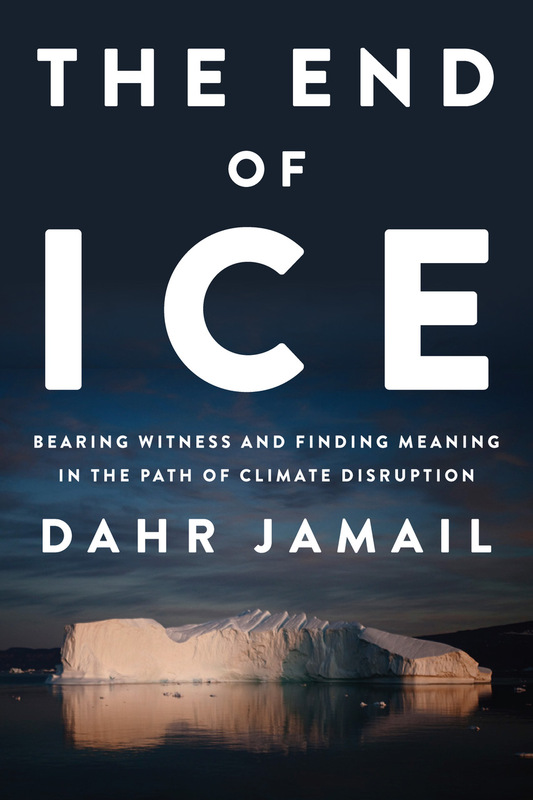 “Jamail’s stories—of journey, expertise, and compassion—ensure that we can look at the sometimes failing sometimes triumphing world we inhabit with love. For many, this love will be accompanied by shame for our own failings and misguided triumphs over the living beings, lands, waters, and ices we live among. No matter the wounds—those of the planet’s or our own human sufferings—The End of Ice guides us toward experiencing these rapidly shifting spaces as sanctuaries, places to remind ourselves we are alive and among the living. We can’t imagine yet what the new world will look like, the one we are creating by carving away at and poisoning the first world we were given, the one that will ultimately go on in our absence, but this book will help us begin to take notice of it, as it is already arriving. I am grateful for this gift of wonder and contemplation that Jamail has given us, and the opportunity to slow for a moment and take in the immensity of my own life and participation in the existence we all share. This earth was our first teacher, and though we haven’t listened well, we have time yet to hear its song.” -Natalie Diaz, poet, Native language activist and author of When My Brother Was An Aztec and the forthcoming Postcolonial Love Poem, Graywolf Press 2020. “What a strange and compelling paradox this book offers: to fall in love with the Earth and all that we are losing, to let our hearts open to the deepest grief, and then trust that our grieving opens us to profound love. When what we love is lost, our grief honors the loss and cracks open our hearts to live fully in the present moment which is joyous. Thank you Dahr Jamail for this gift.” -Margaret Wheatley, author of many books, including Leadership and the New Science and most recently, Who Do We Choose To Be? For a review copy or media inquiries, please contact Jessica Yu at jyu@thenewpress.com or (646) 792-7262.